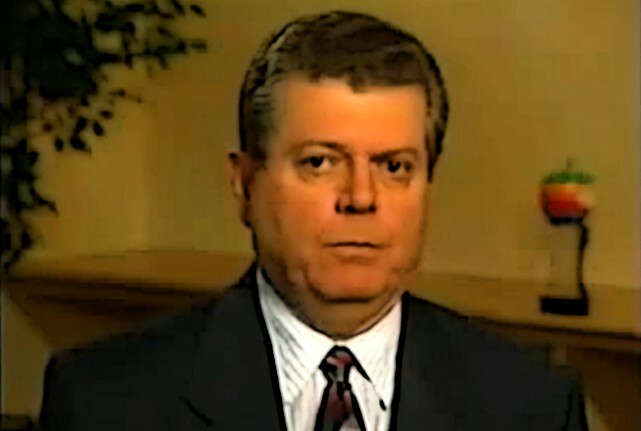 Gil Amelio was viewed as the man to save Apple. February 2, 1996: Apple reveals that turnaround artist Gil Amelio will take over from Michael “The Diesel” Spindler as CEO of the struggling company. 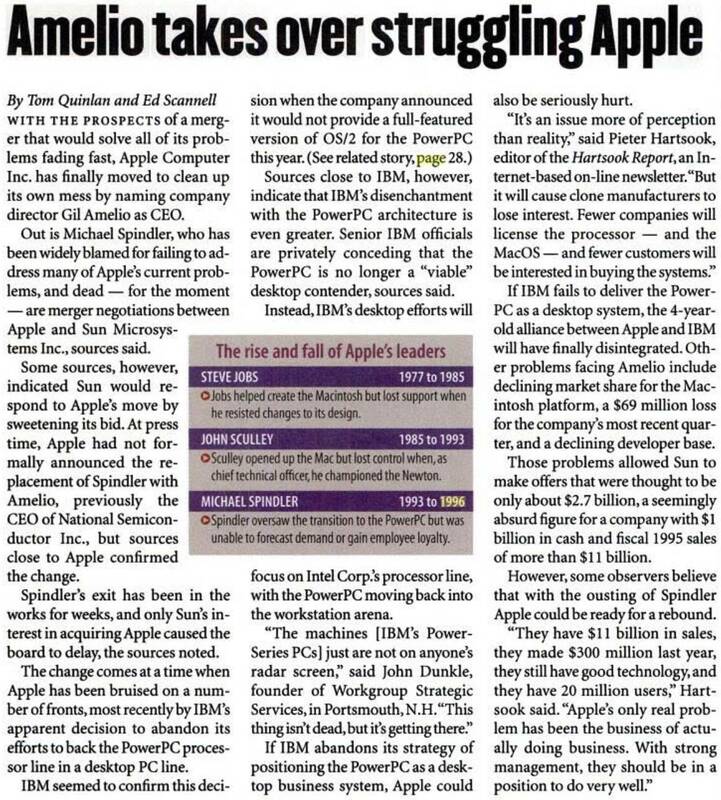 With disappointing Mac sales, the disastrous “clone Mac” strategy and a failed Sun Microsystems merger to his name, Spindler is asked to resign by the Apple board. Then Cupertino enlists supposed corporate miracle-worker Amelio for the job. Unfortunately, he turns out to be no better than Spindler. As I’ve written many times in “Today in Apple history,” I’ll always have a soft spot for Apple in the 1990s. After all, the company was taking risks (come on, it put out a games console!). And, for better or worse, Macs still felt like tech’s best-kept secret compared to the ubiquity of Windows PCs. With that said, Apple did face big problems in the ’90s. After Spindler took over from John Sculley in June 1993, he immediately slashed employee numbers and R&D projects that wouldn’t pay off in the near future. This gave Apple multiple back-to-back quarters of growth — and doubled the stock price. However, Spindler’s strategy of selling Mac clones proved horrible for Apple. The company licensed Mac technology to third-party manufacturers like Power Computing and Radius. It seemed like a good idea in theory, but it backfired. It resulted not in more Macs, but in cheaper clone Macs — thereby cutting Apple’s profits. Apple’s own hardware faced problems, too. Most notably, some PowerBook 5300 laptops caught fire. As Samsung later saw with its Note 7 debacle, that kind of hot product never boosts customer loyalty! When a possible merger with Sun Microsystems fizzled, Spindler found himself out at Apple. The board did not give him a chance to turn things around. How the news was reported in 1996. Spindler’s replacement, Gil Amelio, came with a solid reputation. While CEO of National Semiconductor, he took a company that lost $320 million over four years and made it profitable. He also possessed a strong background in engineering. As a Ph.D. student, he helped invent the charge-coupled device, or CCD, which formed the basis for future scanners and digital cameras. He had joined Apple’s board in November 1994. In the end, Amelio failed to live up to his promise as Apple CEO. The most memorable aspect of his 500-day stint running the company — aside from overseeing Apple’s biggest-ever losses — was the fact that Apple bought NeXT while under his leadership. And that brought Steve Jobs back to Cupertino.